‘Barbie Jamona’ is Culturally-Relevant… and Looks Delicious! On the heels of the Barbie Mexicana brouhaha that I so inadvertently started, I decided to go on a worldwide hunt for the next controversial, culturally-relevant and irreverent Barbie doll. Here she is. She is proud, meaty and looks absolutely delicious. Besides, this one doesn’t come carrying a pet pig or something weird like that, so it should go down history with less controversy as the other Barbie Dolls of the World. So, what is Mattel waiting for? This entry was posted in Marketing & Advertising, Stupid propositions and tagged barbie, Barbie Jamona, Mattel, Mexican Barbie. Bookmark the permalink. 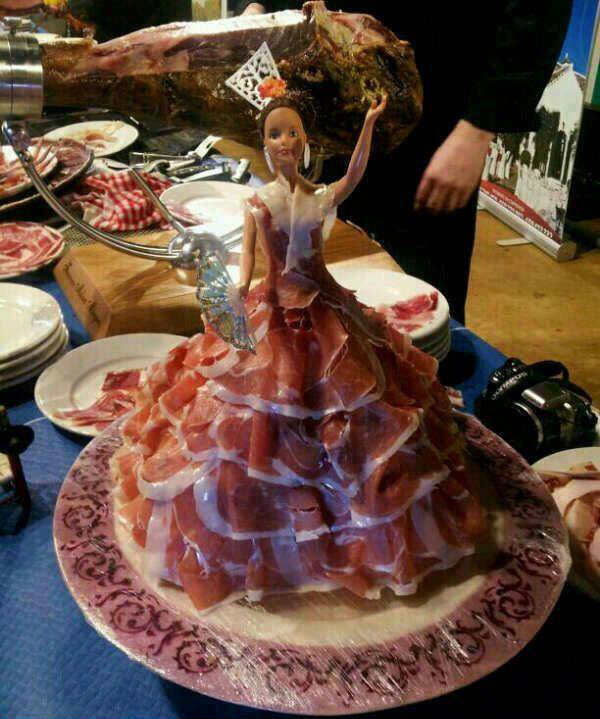 6 Responses to ‘Barbie Jamona’ is Culturally-Relevant… and Looks Delicious! Más bien creo que esta es la Lady GaGa Barbie no?